That's right with Halloween just a faded memory, the weather getting colder and the days shorter...it's holiday time. For years I would buy my Christmas cards on sale after the previous Christmas in order to be one leg up in November. I am the friend that has my cards ready for the mail the day after Thanksgiving. Yep, I was mighty proud of that fact. But then I became a mom and doing anything in advance...well, that's actually pretty funny. Last year I was on the ball and that's probably because after getting so many cool photo holiday cards, I decided to do one for our family as well. I wish I had a copy of it to show, just know it was awesome. So awesome that I had friends tell me they couldn't wait to see what I come up with this year. Yes, I've been thinking about our Christmas card ALL YEAR. Thankfully this year I have some awesome help for our cards...Shutterfly! They have so many gorgeous designs and options that I am having a hard time deciding on just one. Do I go with more traditional Christmas cards? Or maybe another photo card? Can you see why I am having such a hard time deciding? Right now I have three favorites...but being preggo those are always subject to change! These are my current faves, aren't they beautiful? 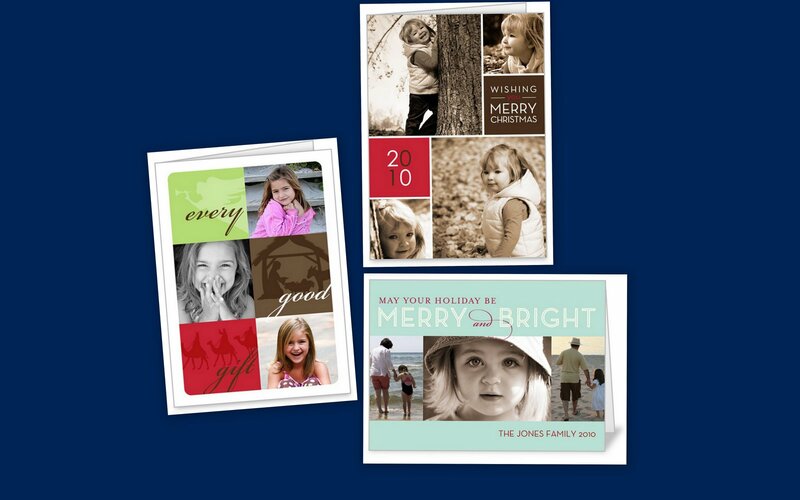 As part of Shutterfly’s 2010 Holiday Card collection promotion, I volunteered to write a post about Shutterfly’s holiday cards in exchange for 50 free holiday cards. If you would like to receive 50 free holiday cards, please visit their blogger promotion.